This might be one of my new favorite things. Club Sassy is a leggings subscription that sends a new pair of leggings to your door every month. I've started loving leggings with a tunic top or for working out in and I'm starting to amass quite a collection. The more, the merrier! Club Sassy sends leggings in regular, curvy and little girl sizes so there really is a pair for everyone! You'll get one random pattern each month. This month there were three different patterns- Shirley, Eleanor and Oprah. I received the Oprah. What You Get: A new pair of colorful, comfy and sassy leggings each month. Available in women's regular and curvy sizes and little girl sizes. These leggings are amazingly, ridiculously soft. The color pattern isn't really my style but they're way too comfy not to wear. I chose the Regular size which is indicated to be size 4-12. I think they're a little loose on me. Baggy around the knee area and a little long but I'm a size 4. They're also very high waisted on me. I'm not sure if it would be the same for someone taller (I'm 5'1"). Despite that, they actually are very comfortable to wear and there is none of the "see-through" issue that some leggings can have. 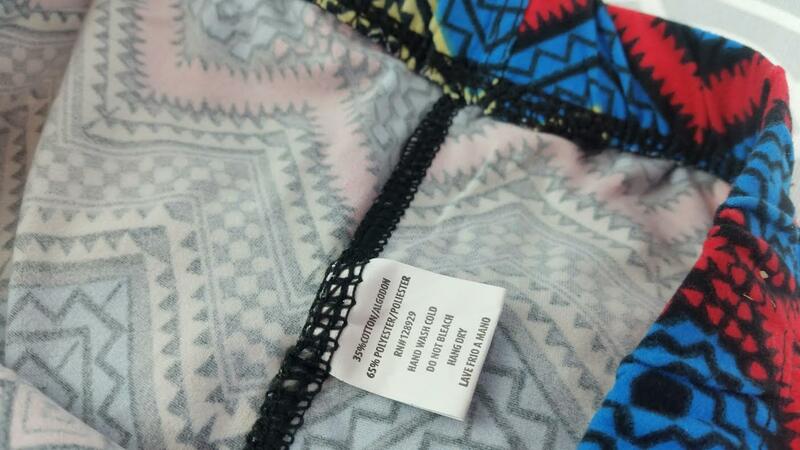 They're made of a cotton/polyester blend and the label says hand wash but I can tell you right now that won't happen. I'm sure they'll be fine. There was also a special extra this month and it's a keychain! I'm totally using this because my nickname for as long as I can remember has been Sassy. I was a very precocious toddler, I guess. VERDICT: As a fan of leggings, I'm a little biased, I have to admit! 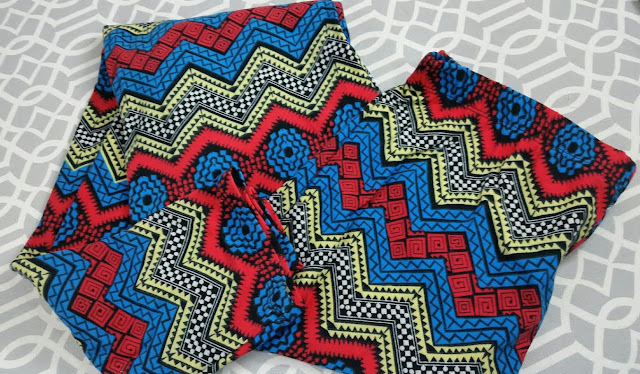 These leggings arrive in some really cute prints, too. It's easy to find boring black leggings but these are waaay more fun. I think I would like it better if there were more sizes to choose from. The Regular size is a tad too long and bunchy at the knees. But this is a pretty new subscription so hopefully there's enough good feedback to determine whether that would be beneficial or not. If you would like to sign up for Club Sassy, you can do that right here. If you sign up before the 15th of the month, you'll get the June selection. After the 15th, your first month will be July. What do you think of legging subscriptions? I feel like it's probably one of the safest clothing subscriptions to get since fit is a whole lot easier. *This was sent complimentary for review purposes. All opinions are mine. I LOVE wearing pretty leggings with a coordinating tunic shirt or long tee. I just subscribed to this using your link, then I remembered " Enjoy Leggings". They are not the same company, or won't be sending the same products, will they? I hope this is not dumb to ask but I honestly don't see much difference at all in all the prints. I mean. print leggings are print leggings. As long as they aren't white sheer things, I'm fine with 2 pair of leggings per month FOREVER. :) Love Boho tunic tops with them. They are not the same company (as far as I'm aware) and the material is different (both are soft and comfy). 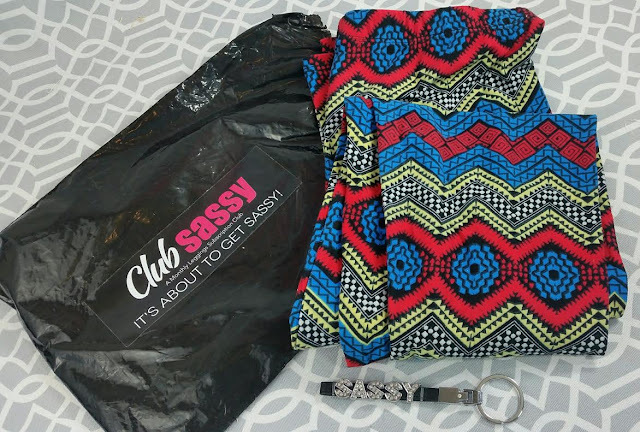 Club Sassy sends one of a few prints every month and Enjoy Leggings sends the same print to everyone. Enjoy Leggings does have better size options, though. Thanks! There have been times when new boxes change their name. One fabulous food box did that, and never recovered... It must be so hard to compete.. I think I'll like both subs. I got some ripped, destroyed denim leggings yesterday for $6 shipped ( had no idea they really meant " ripped") and when I took them out of the package, they looked like leggings for a 5 year old. No kidding! It was, well, almost unbelievable. I was pretty steamed, but tried them on and they fit great. I will really enjoy getting two pair of surprise leggings per month, as long as they leave the orange and yellow colors for someone else. Can't wear those colors and hate them, basically. LOL. Sarah, Thank you so much for your review! To answer Amanda's question, we are not the same company and have no affiliation with them. While we both are a leggings subscription service, what our member's receive is a bit different. You get your leggings, but you also get lots of other member perks. Q. What comes with my membership? A. You will receive one pair of our amazingly colorful, fun, and sassy leggings each month. PLUS being a Club Sassy member has it's perks! Not only will you get a new pair of fun, and colorful sassy printed leggings delivered to your door each month, but you'll have the OPTION to purchase basic solid color leggings in the same super-soft material, as well as solid color tops to pair with your leggings, all at DISCOUNTED PRICING! That's right! We offer great savings to our members as a perk for being in the club! You'll also have the OPTION to join our private online community where we share styling tips and photos, hold contest, and give away prizes! 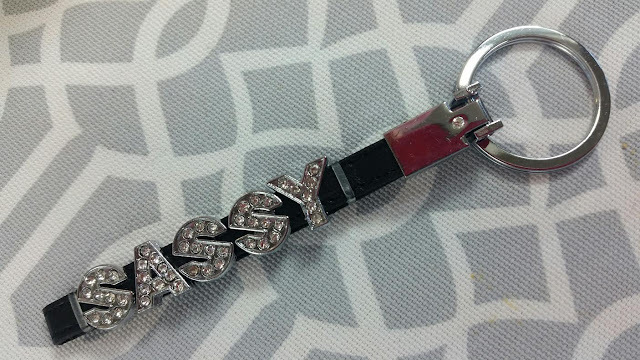 A Club Sassy membership is more than just a nice monthly package in the mail, it's an every day fun experience!